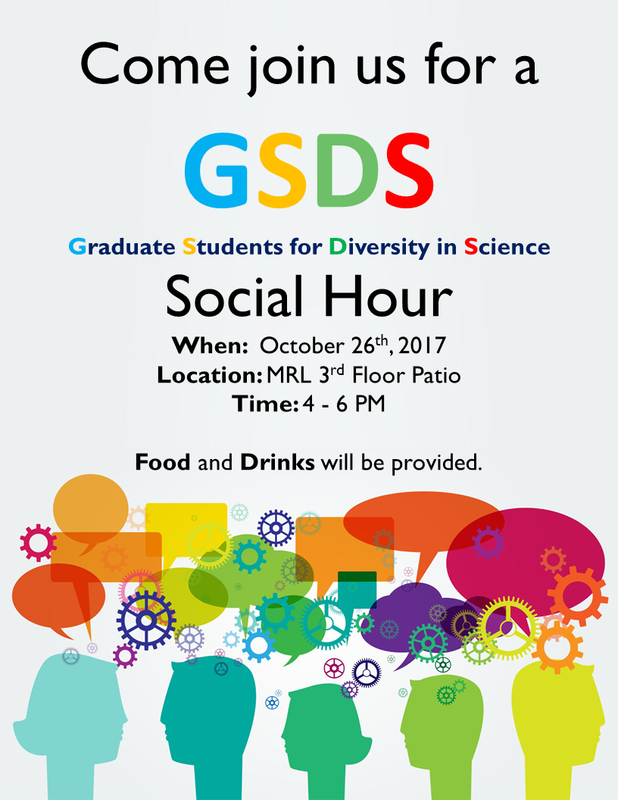 Join GSDS on Thursday, October 26th on the MRL 3rd floor patio for our 2017 Fall Social Hour! Food and drinks will be provided. 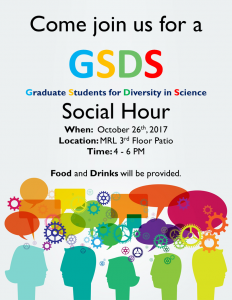 Feel free to bring anyone interested in joining our group (or interested in free food, at least)! See you there!